Books for Teen Boys - Great Books To Get Them Reading! On this page you’ll find some great books for teen boys. It's weird but very often boys stop reading for pleasure around the age of fifteen, even if they've been keen readers when they were younger. Their social lives and their friends become more important at this stage and school work gets more demanding so I guess it's not really surprising in some ways. Of course, some boys do keep reading, which is fantastic, but if you think your son needs a bit of a nudge, I can almost guarantee that the books on this page will get him reading. 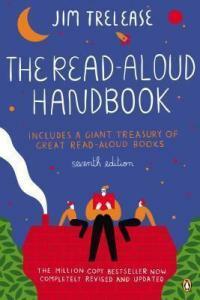 My sons and their friends – a tough audience when it comes to books - have read them all and pronounced them ‘awesome’. Some of the books will appeal more to older boys while some are more suited to the younger set, however my experience with my sons is that boys will often read up or read down if the story is exciting, especially if it's part of a series. What do I mean by read up and read down? Well, Robert Muchamore's Cherub series is aimed mainly at younger teens - 13 year old boys, really. But the books are so well-written that my 15 year old sons were still keen to read each new book in the series as they come out. Matthew Reilly's books are an example of the way it works in the other direction. He writes for adults however my sons enjoyed some of his books as 13 year olds. The key is the story. Most teen boys like fast-paced stories with plenty of action and these books fit the bill. Great teen literature they may not be but, if they get your son reading, who cares? These books for teen boys should all be easy to find in your local library or bookshop but, if you'd like to buy them, check out my favourite website for buying books, The Book Depository. A great approach to try if you're keen to encourage your son to read is to get hold of an ipad, an Amazon Kindle or some other kind of e-reader and download a few books. 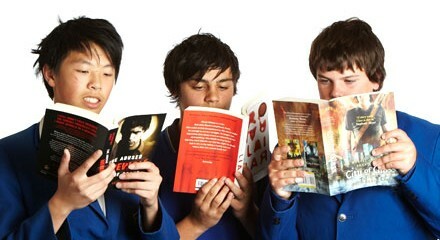 Teenagers are sometimes more open to reading if they can do it on some kind of electronic device. If your son has a smart phone, that's also an option, though I find the screen on my phone a bit small for reading. It's not the first thing you might think of but audio books can also be worth a try with teens. Download them onto an ipod or mobile 'phone and away you go! This is a great idea for travelling when they don't have wifi reception and so can't be on Facebook. Wondering why it's important for teenagers to keep reading for pleasure? 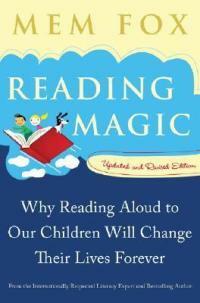 Click here to read about the Top 10 Benefits of Reading. 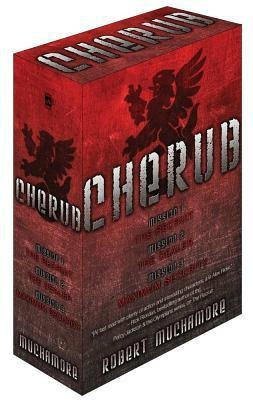 The Cherub series is basically a series of young adult spy novels, centred around a division of the British Security Service named CHERUB which employs orphans as intelligence officers. The books follow James Adams as he enters CHERUB and performs various missions, with other characters being gradually introduced to take on vital roles in the missions. The books combine heaps of action, well-written fast-paced stories and humour and are winners with most boys. These are the 18 books in the original series. The links go to a synopsis of each book. 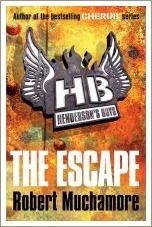 This is Book 1 in the Henderson's Boys series, seven books which are set during World War II in Nazi-occupied France. The action in the books takes place between 1940 and 1945 and involves a series of war missions, led by Henderson who is helped by children. 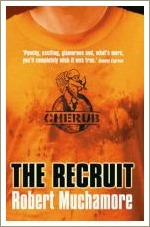 The books are a spin-off from the CHERUB series, which centres on the peacetime version of the same organisation during the 2000s and 2010s. These books are a bit violent and I'd suggest they're more suited to kids aged from about fourteen up. Like all Matthew Reilly's books, Seven Ancient Wonders is a fast-paced story filled with action, adventure and danger. The two sequels are The Six Sacred Stones, The Five Greatest Warriors and The Four Legendary Kingdoms. Click here to read more about these books. Matthew Reilly's other series which is also popular with teenaged boys is the Scarecrow Series. Click here to read more about Matthew Reilly and his books.